We're On Team Cuddle...Are You? We couldn't be more excited to announce our newest contest: Team Cuddle! Inspired by the adorable cuddling duo Theo and Beau that has taken the Internet by storm, we've partnered with Momma's Gone City and Mommy Shorts to bring you the search for the cutest cuddling photo...and we want you to join in on the fun! Team Cuddle is a celebration of the moments of love that we share with our families, which of course includes our pups and kitties, too. Nothing beats snuggling on the couch with your kids and pup, or your kitty nuzzling up against you when you wake up in the morning. And it's moments like these that remind us just how lucky we are to have all of this love in our lives. As we've seen with Theo and Beau, these moments make for beautiful photos to capture and share with others. So, Freshpet fans, grab your cameras or dig up some old photos, and get into the cuddling mindset as part of Team Cuddle! Tag your cuddling photo on Instagram using #FreshpetTeamCuddle, and be sure to tag @Freshpet @MommyShorts and @MommagsGoneCity to enter! When you submit your entry, don't forget to include the first names of all of the family members involved (including your pets, too) in order to be eligible to win. 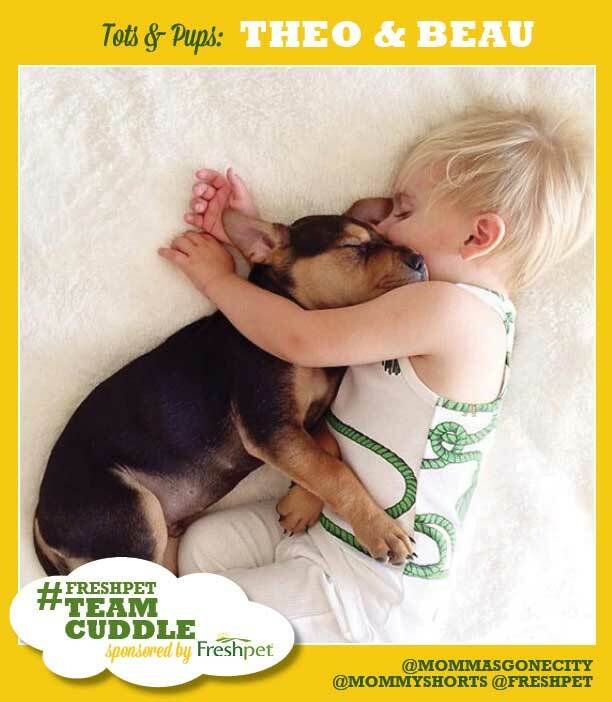 But be sure to enter before midnight on March 3rd, as we'll be announcing the cutest cuddling moments as our Freshpet Team Cuddle Finalists the following morning. ** And note that you're only allowed one entry per category, so make sure it counts! 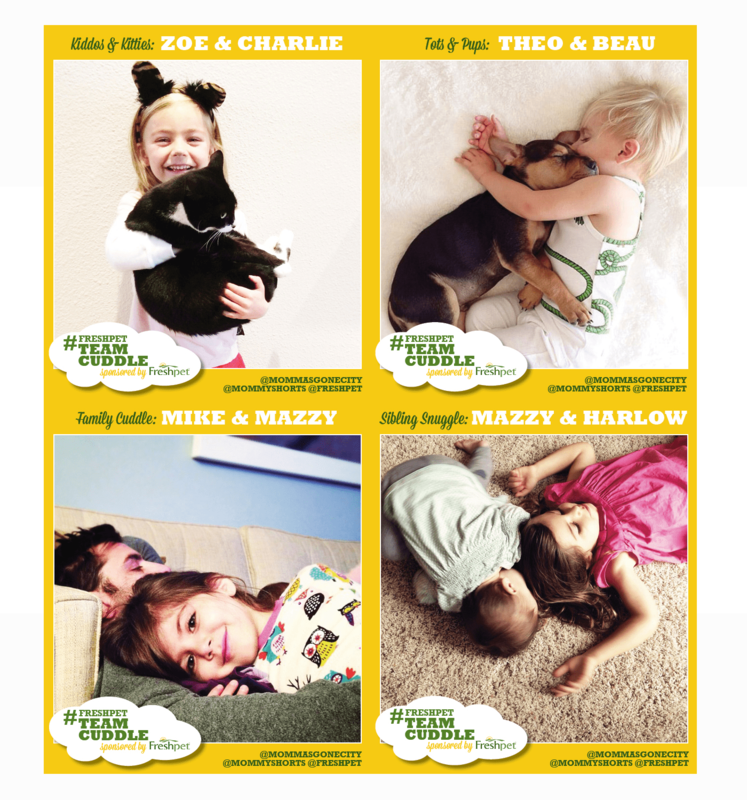 The winners of the "Kiddos and Kittens" and "Tots and Pups" categories will also receive Freshpet Prize Packs, stuffed with Freshpet food, treats, t-shirts, coupons and more! We're just getting started and we can't wait to update you more all about this lovable contest. So grab your loved ones and get cuddling for what is sure to be a fun-filled next few weeks!